Seeing as I have this shiny new website and photoblog now, I was rather weary of having no new content, yet again. 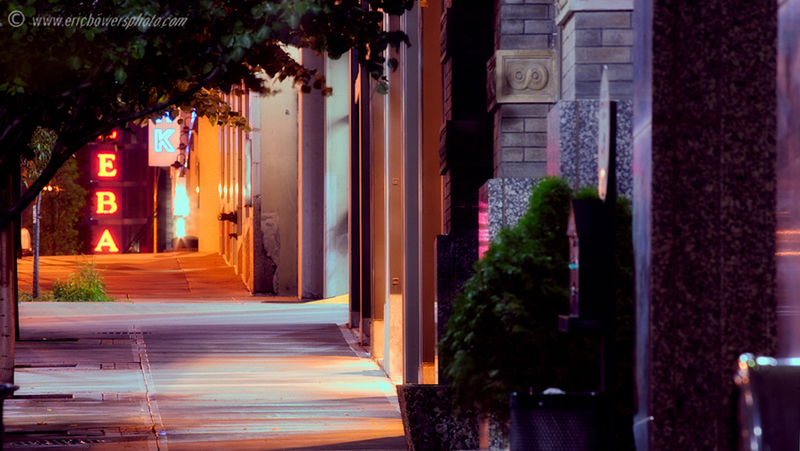 Therefore as we all consigned this year’s Fourth as a rain-out, I hobbled around one of my favorite areas of downtown KCMO for awhile, around midnight. This shot was five minutes before the Independence Day ended last night. Anywho, something was necessary to keep occupied. I must opine that I’m afraid my other shots were all of the rubbish variety, as it was like a sauna outside and I failed to bring along any of those cloths you wipe your lenses with. I’m ordering a large supply of those very soon. 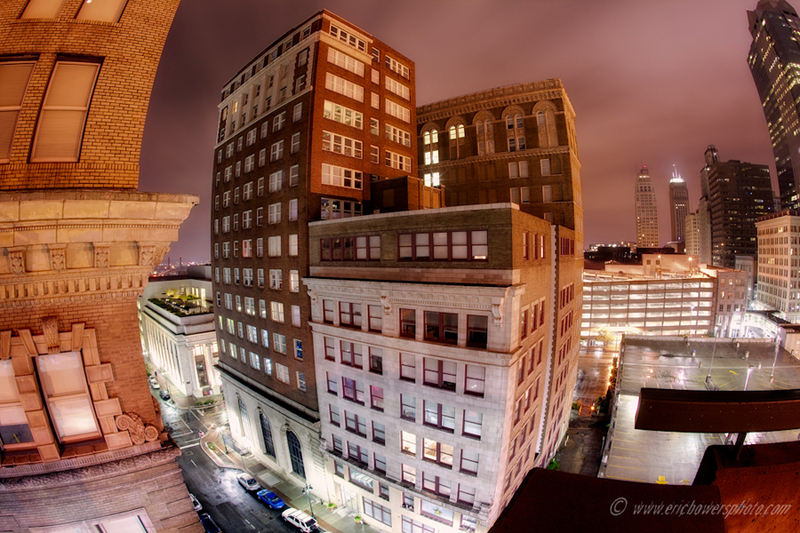 Enough rambling, onto the subject matter at hand – In the middle of this fisheye view are the 21 Ten Condos, at one time a one story building of the New England National Bank, sitting across the street from the Downtown Library at 9th and Baltimore. I may have rhapsodized over this former personal horror before, but I was caught up in an employment of some sort in the City Center Square building five years ago, and every day I had a clear view of the backside of this building. That wasn’t what was bad about that employment though. Actually the view was lovely. Note on this afore-mentioned new photoblog and website: most of my ducks are now in a row, though there are a few small things I’ve still yet to make correct. Soon to come, with luck. It never worked out between myself and the old site. Welcome to my first official posting on my newly overhauled website and photoblog. There are still numerous things wrong and I’m rather annoyed and tired about a lot of it, but I’m going to have to put some of it off for the next day after I submit this to the draft queue. Seeing as I was so bound and determined to get this site up and online somehow, someway, for statistical and analytics reasons due to July 1st being the start of the second half of the year, I’m not delaying any longer. I’ve been trying to put together the new home page and galleries for nearly weeks now, and have spent most of Thursday trying to get the new blog up and going as well as doing last minute stuff that really is more like “last day” stuff. 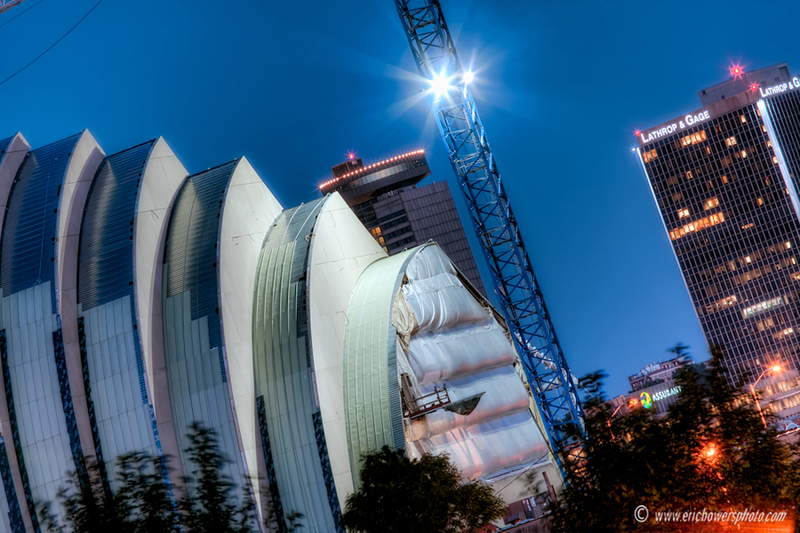 I needed new content if I was to launch today, so on Thursday night amid this stupor of website overhauling I ran out for new pics of something I’ve covered before, just so I’d have some new content – another look at the Kauffman Center for the Performing Arts, this time taken over in the Quality Hill area near the Argus building. It afforded this view, using the telephoto lens of course, of the Kauffman Center with part of Crown Center as the background.